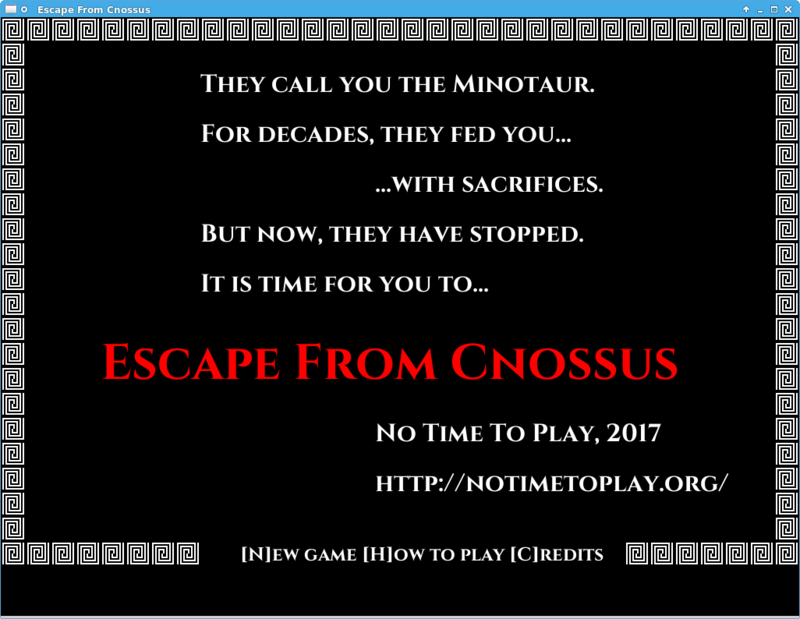 They call you the Minotaur. But now, they have stopped. 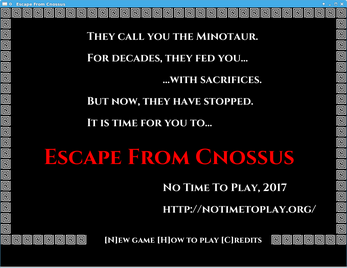 Escape From Cnossus is a coffeebreak roguelike. Navigate 20 mazelike levels, making your way around monsters, or even over them as you gather more supplies and gear. The game can be completed in about 40 minutes once you figure out how, but it will require many attempts, and no two games are quite the same. This edition is a port to 32-bit Windows and Linux of the original 8-bit game, with updated (but still retro) visuals, and a few sound effects to spice things up. Gameplay has been kept the same on purpose. dynamic monsters that get in your way, hunt you down or even fight each other. For Windows: any PC capable of running XP. For Linux: any distribution from 2013 or so onward, with the SDL 1.2 libraries installed. Note: you need the 32-bit builds even on a 64-bit system. The game runs in a fixed 1024x768 window and uses 13M of RAM. Some sounds effects may not play correctly on Windows. 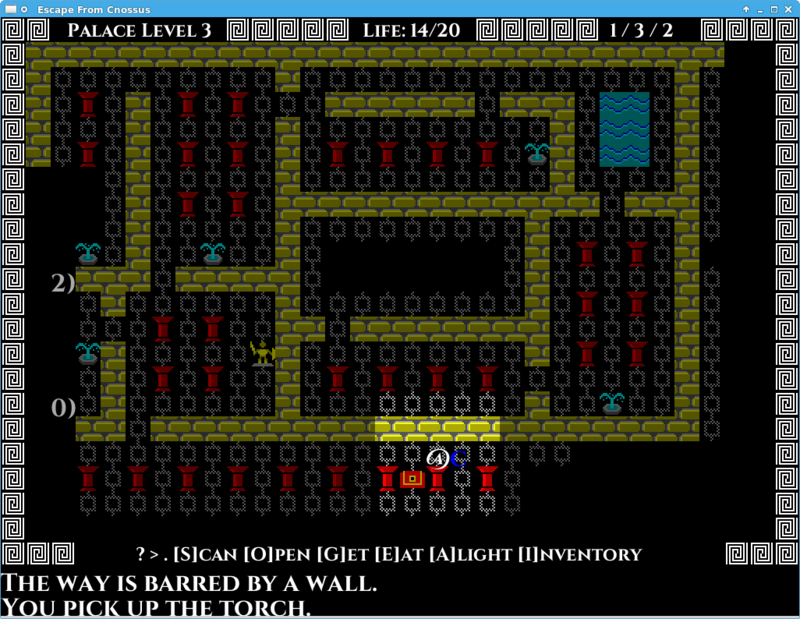 Made with sdlBasic, using content from the Superpowers Asset Pack and the Open Font Library. Damn. Can you please try to run it from a command prompt and see if there's an error message? A command prompt? Is this a DOS game? No, it's a graphical game for the desktop, but if you start it from a command prompt, you'll be able to see if it complains about something in particular, because that's where error messages normally go. I already uninstalled it since it didn't work. Sorry to hear that. I'd offer a refund, but you have to e-mail support for that.